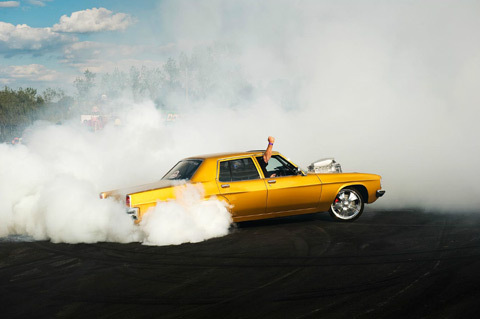 For the past six years I have been photographing the sub-culture of burnout competitions in Australia. The guys and girls who compete in the various competitions across Australia are a passionate bunch. 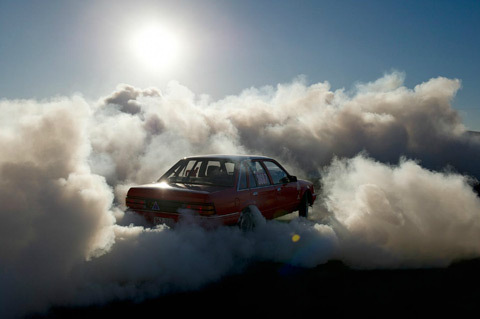 As a photographer I enjoy the visual feast of a superb and powerful car on the black of the burnout pad juxtaposed against the softness of the tire smoke. 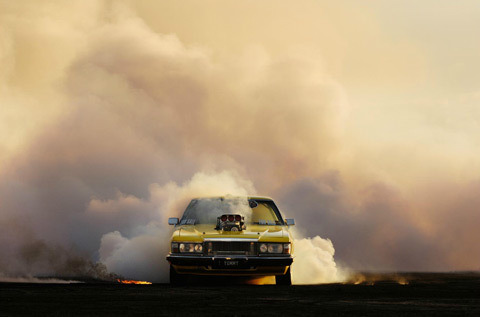 In reality a burnout is extremely loud and aggressive but in the photos there is a sense of calm… poetic in a way. 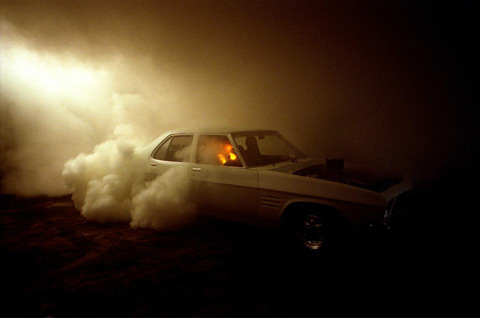 Born in New Zealand, raised in Sydney, Simon Davidson discovered photography at the age of 25. His early years of photography were spent in the darkroom developing film and printing black and white images. Moving to New York in the late nineties to assist fashion photographers, Davidson returned to Australia in the new millennium to further assist before dabbling in fashion photography. 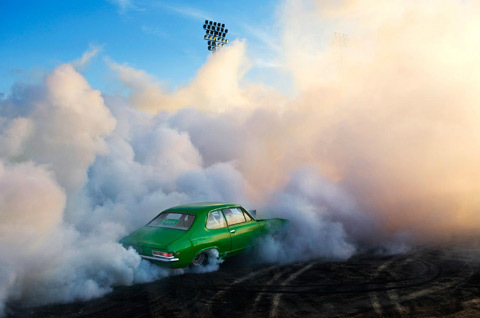 A chance excursion to a street drag racing meet one cold winter evening changed the direction of his work, and he has been photographing Australian custom car culture as a personal endeavour for the last decade. This project has allowed him a healthy editorial career in the Australian modified and custom V8 car scene, leading to an advertising career. 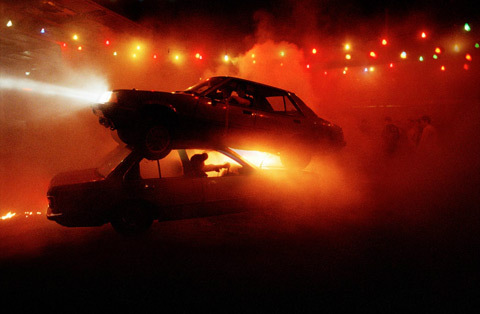 While the cars are central to the project, the people, and the characters are a rich source of subject.